Having grown up in Monmouth, I know the Kymin pretty well. We used to walk up it quite often with Scouts, including in the dark, and I still look out for the white tower if I'm driving back from Wales along the A40. So many people in running club kit! 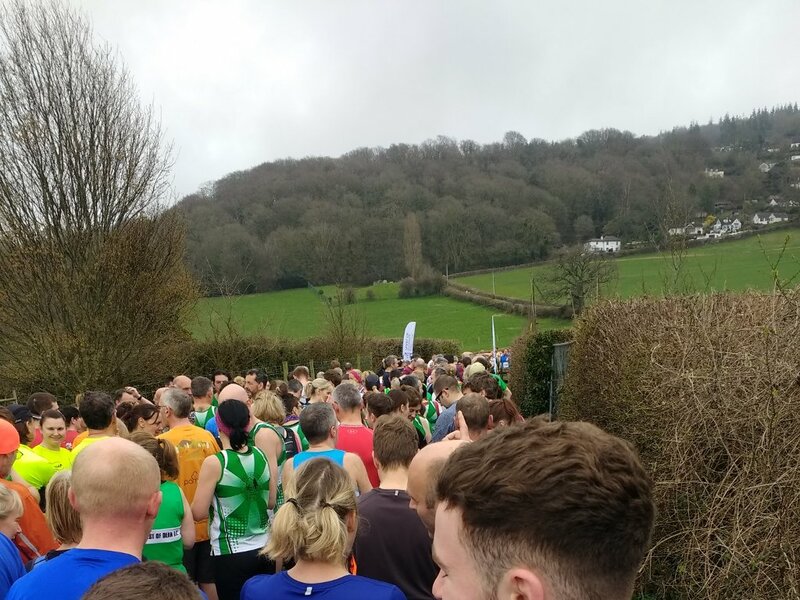 I did feel a bit out of place as a non-club runner, and I think this is probably also why I had a recycled Gloucester marathon number/chip instead of the ankle tags that most others had. I started near the back as I knew I wasn't going to be sprinting the 2km of uphill! Instead I did a mixture of slow jog and power walk, which seemed to be a popular technique. The road isn't as steep as the footpath, so it wasn't actually as bad as I was expecting. Along the way they'd put out plenty of motivational signs - "it's only a hill" etc, and I was very pleased to reach the top and the first water station - complete with jelly babies!! I ran carrying my soft flask because that's easier to deal with than paper cups. Once the hill was out of the way I was able to speed up a bit and, as the paths widened and the crowd thinned out, even did some overtaking. I did have to stop and wait at the road crossing, which lost me about 3 minutes but isn't exactly the end of the world. A rare photo where I am actually sort of smiling - and overtaking the lady on the left! Photo by Rod, from facebook. There weren't medals (unless you actually won, of course) but I do now have a lovely purple technical tshirt. We were also handed a Wild Trail bar at the finish line, but that's long gone as it was rather tasty On Strava here. Would I do it again? yes. 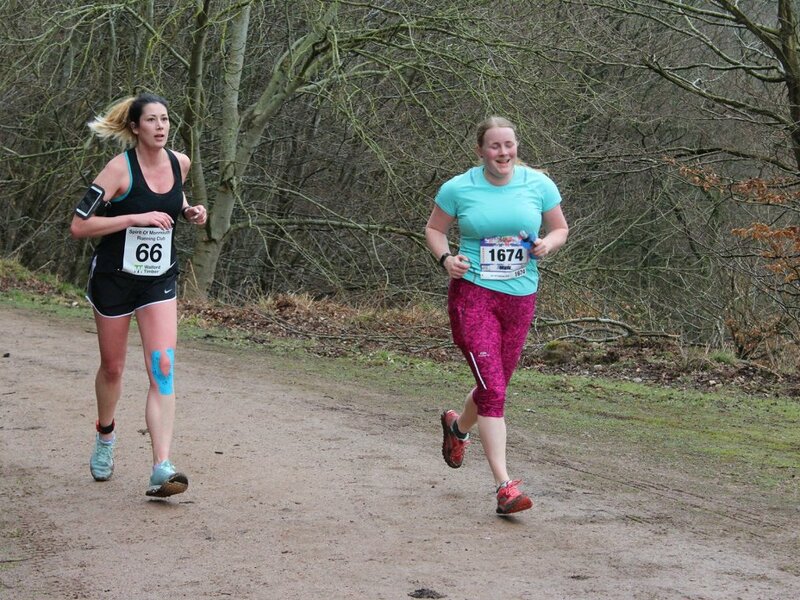 Next up - Forest of Dean 10k in May.